Who are the ‘Blogging Friends’? We are Stampin’ Up! demonstrators all across the U.S. and Canada. Most of us haven’t met in person, but love Stampin’ Up and want to share with you! Please join us on the 1st of every month to see what wonderful things we have created! Each month we’ll have a different theme! This month it’s Recycle! For this one, I decided to go through my stacks of “cut up and ready to turn into a card” supplies. Have you ever prepared for lots of cards, but then only make a few? Well, I’ve done that several times, and I don’t always get back to them. Here’s just a few ready-to-be-made paper stacks, but I don’t even remember what the cards were! That’s how long ago these are from. Some are even retired colors! So, I dug through and looked for some in current colors, and pulled those out to make into a card! I know this one originally used a tree, but I’m sure it had retired stamps and supplies on it. Here is my take on it using current and NEW products! 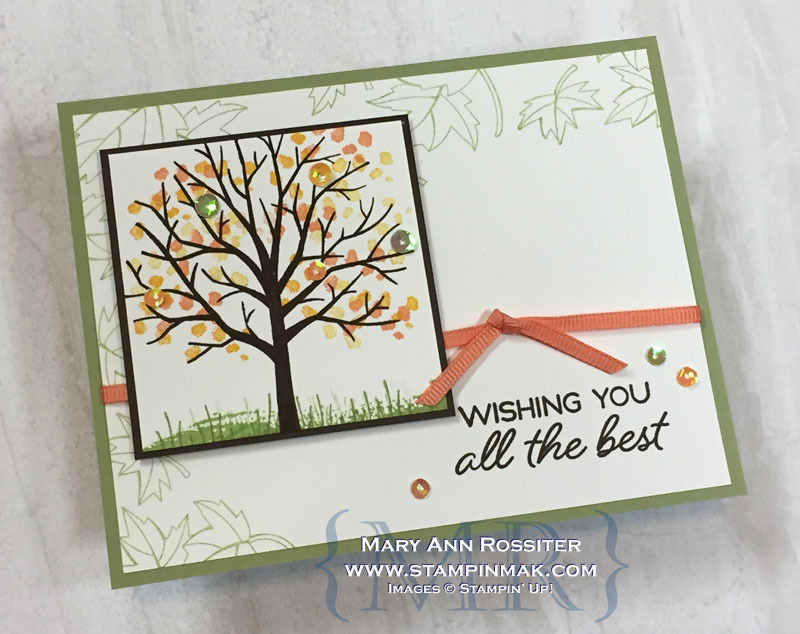 I used the Sheltering Tree, and the Limited Time Stamp set called Blended Seasons. I love how it turned out. It’s got Pear Pizzazz, Early Espresso, and then some new colors, Mango Melody and Grapefruit Grove. The ribbon is the Grapefruit Grove Grosgrain to match. I finished it with some of the Iridescent Sequins on the tree, which go nicely with the colors on the tree. Such a simple and sweet card for any occasion. You can order the Blended Seasons stamp set, or the bundle with the coordinating Framelits, this month only! Contact me if you have any questions on it! This is definitely a set you can use all year long. I hope you enjoyed this recycled idea of a card, and can’t wait to see the other projects shared! Keep going on the hop to see the rest! 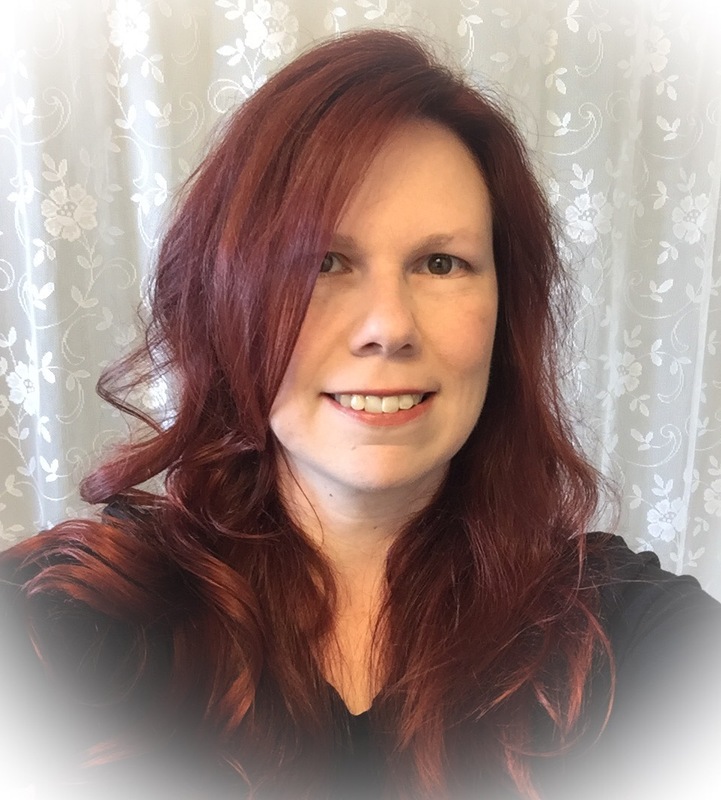 This entry was posted in 2018-2019 Catalog, Blogging Friends Blog Hop and tagged #bloggingfriendsbloghop, #retissornnayram. Bookmark the permalink. I loved that you could use some of your scraps to make your card! I am not very good at that. The sheltering tree is one of my favourite sets. I really liked how your card turned out! Beautiful card Mary Ann, I am sure we all over cut for workshops and then never get back to them. Great job!